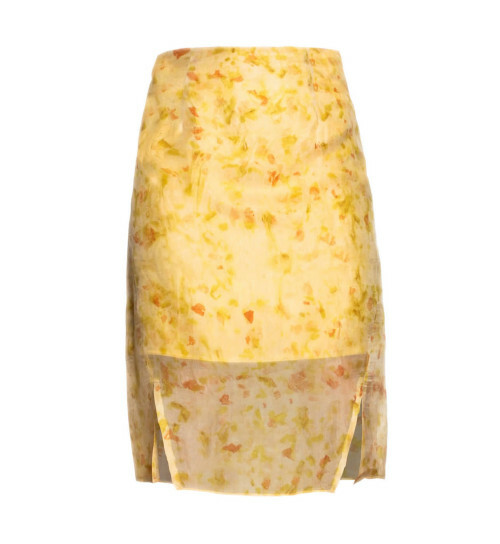 Eco-dyed in London, this skirt made of 100% silk and has a twisted seam that creates a flattering, slimming line through the hips. 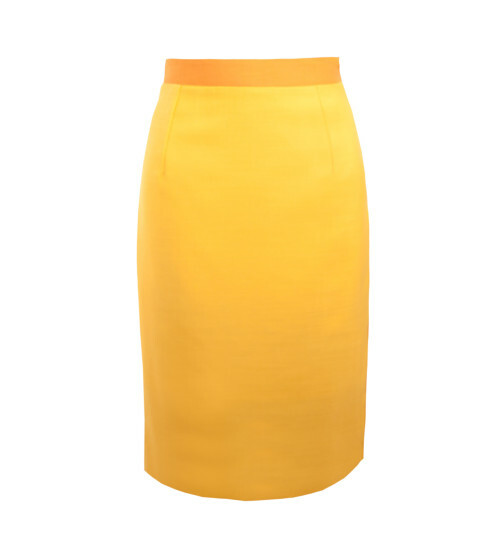 This versatile skirt can be worn either way depending on your mood. Again plenty of wears out of this one. Made from upcycled British wool. 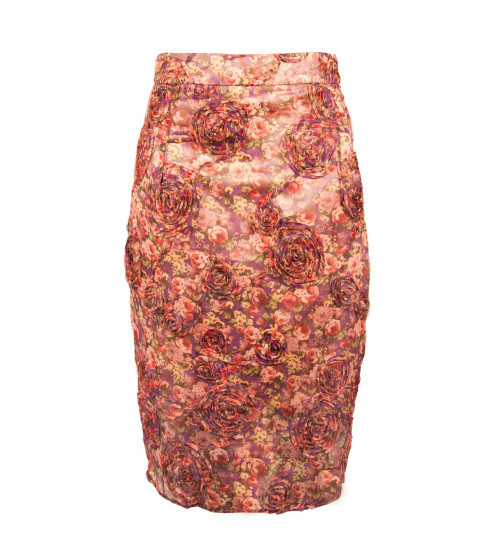 Pretty petal skirt featuring below the knee styling. Made from an upcycled applique material sourced in the UK. Contrast colour lining in pink, finishes above the knee. Garment Size Guide This garment is made to order and delivered within 7 days. 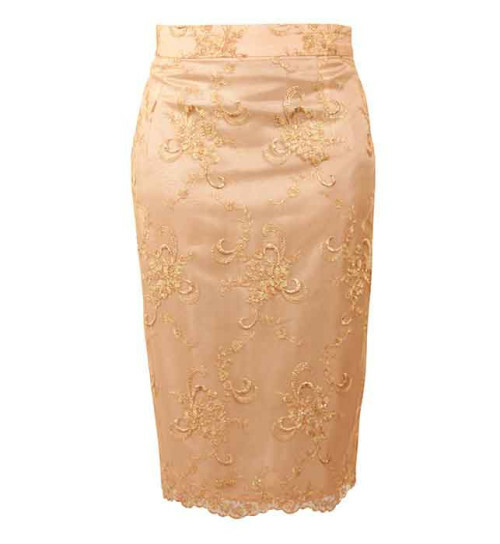 A dressing skirt featuring upcycled, beautifully embroidered lace, sourced in the UK and French seamed throughout. Made in London UK.